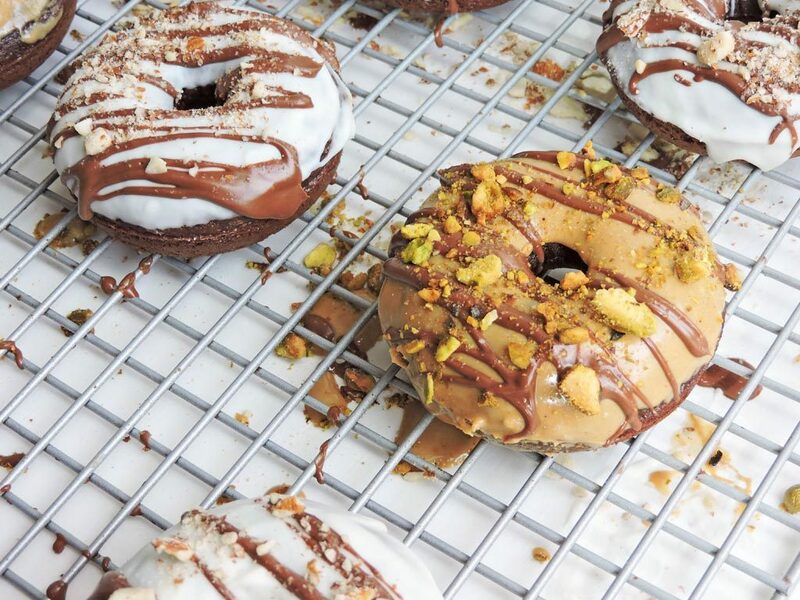 Who doesn’t like decadent, chocolate donuts?? 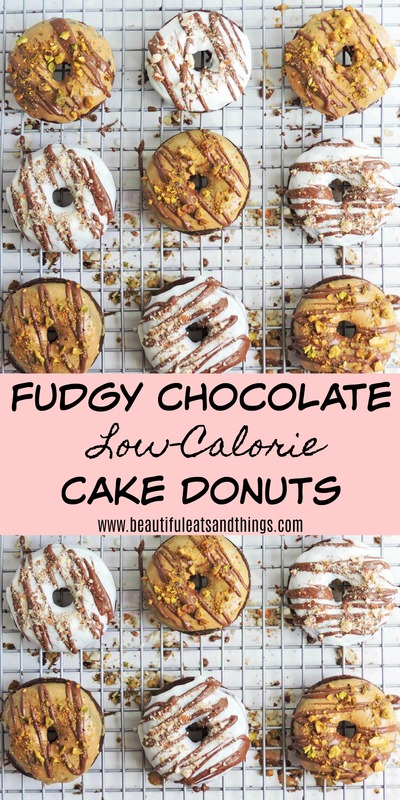 These Fudgy Chocolate Cake Donuts are light, fluffy, and only 119 calories each!! They are DELICIOUS by themselves or topped with your favorite toppings! I am a self-proclaimed donut enthusiast! Lol! I can’t get enough of those tasty critters! Let me explain my obsession to you….I think my love for donuts started when I watched the Simpsons. Yep, you read it correctly, The Simpsons! Lol!! You see, Homer Simpson would eat these tasty pink-iced donuts with sprinkles and I just had to have one! I know that it was a cartoon, but they looked sooo good! I wanted to find a donut shop that sold pink-iced donuts with sprinkles! Seriously! Like I would check the grocery stores to see if they made those donuts! Well, I could never find a place that sold the infamous Homer Simpson donut, so I explored my options! Since that moment, I would Google popular donut shops and made it my personal mission to try them all! 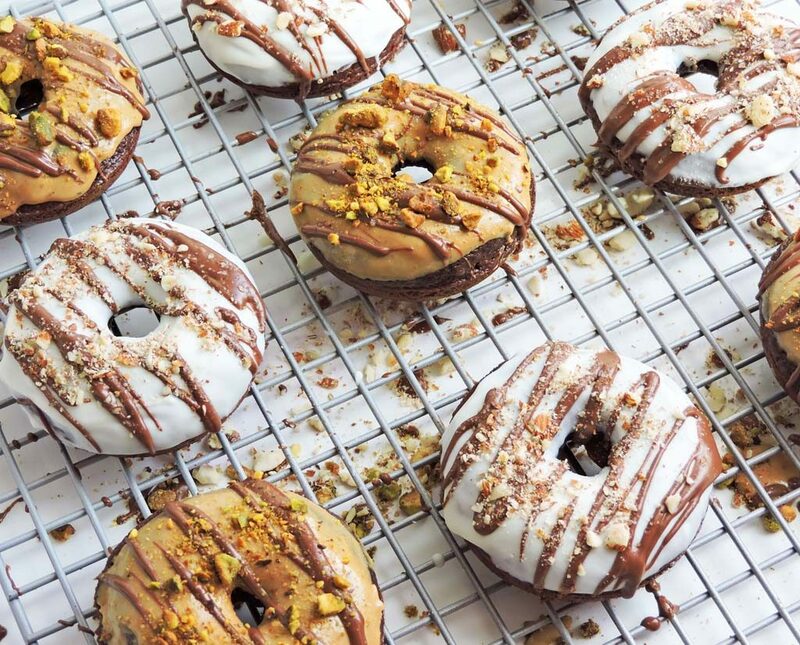 Fast forward to last week…so I decided to give it a try and make my own donuts! I was super intimidated by this, but I logged on to Amazon and purchased the best donut pans ever, Wilton 2105-1620 6 Cavity Nonstick Donut Pans (2 Pack) , and started baking! I decided to make a batch of chocolate donuts, and after a few tweaks, they came out perfectly! They taste great plain, but I wanted to experiment with different flavor options, so I dipped a few in white chocolate and the others in peanut butter! Oh, and to top it off, I added crushed pistachios and almonds!! YUM!!! 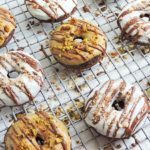 You’ve got to try these Fudgy Chocolate Cake Donuts, and I’m almost certain you’ll think they’re better than any donut shop!! Preheat oven to 375 degrees and lightly grease donut pans. In a medium bowl, combine flour, sugar, cocoa powder, salt, and baking soda. In a small bowl, add milk, oil, Greek yogurt, egg, and vanilla. Mix until ingredients are well combined. Stir the wet ingredients into the dry until combined. Be careful not to over stir. Spoon mixture into donut pan. Let donuts cool on a wire rack and Enjoy! Or you can choose to add your favorite toppings! 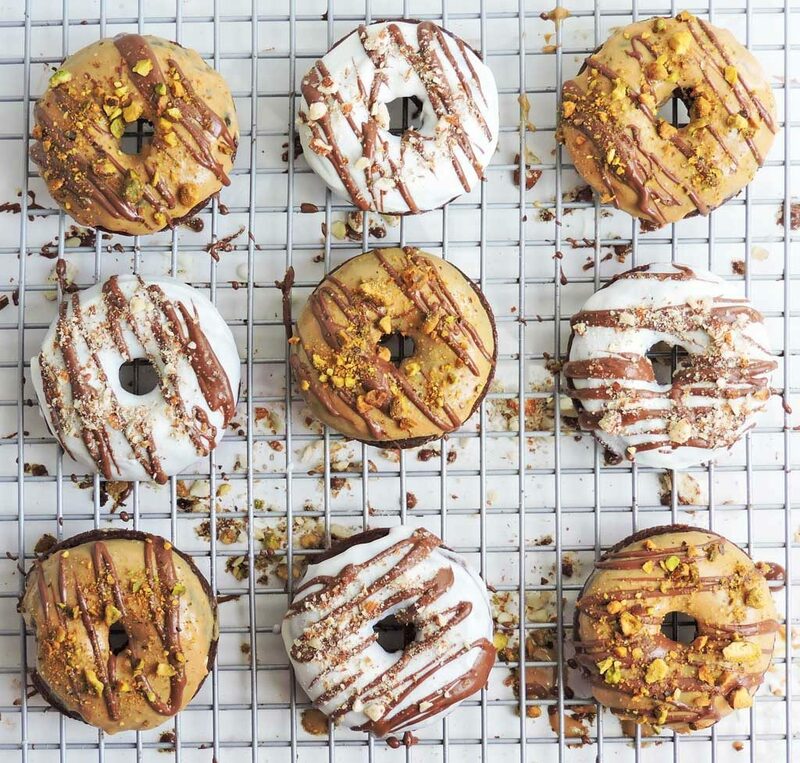 For the donuts pictured in the recipe, I melted ½ cup white chocolate chips and ¼ cup peanut butter in separate bowls. I dipped half of the batch of donuts in white chocolate and the other half in peanut butter. I topped them with crushed almonds and pistachios.